I'm writing this today as I sit next to the warm fireplace listening to the wind chimes tinkling outside. It is a cold and windy day here for us as well as for many of you. We are having a winter we usually do not experience here in the South. Freezing temps in the teens (breaking records), measurable snow lasting 3-4 days (almost unheard of), and ice that closes down schools and stores keeping us all hibernating in our homes. 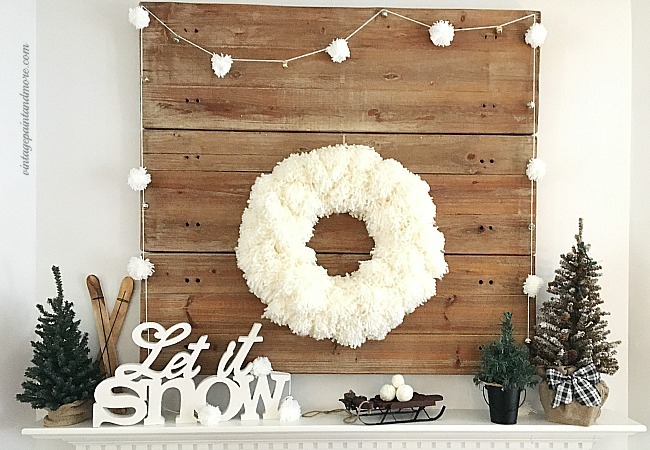 So, when I began taking down the Christmas decorations this week ( yes, I am quite slow this year), I decided to just embrace this season and put together a winter mantel with my DIY pom-pom yarn wreath and a few other snow-related items. 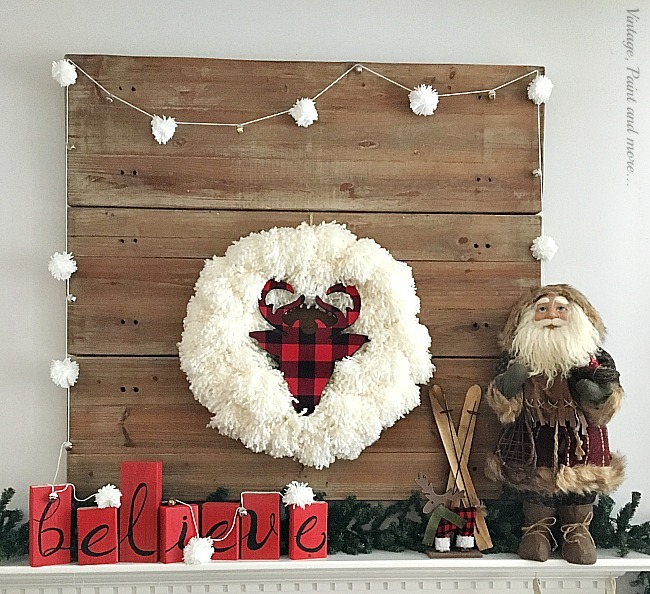 You may remember my Christmas mantel I shared with you this year using the same yarn pom-pom wreath, I decided to use it and some of the other elements in this mantel to make the new mantel decor. I left the yarn wreath centerstage. It is just so fluffy and creamy and adds so much great texture to this winter scene. I simply removed the plaid deer silhouette I had tied into it for Christmas. You can find the tutorial for this wreath here if you would like to make your own. I also kept the little pom-pom snowball garland I made. 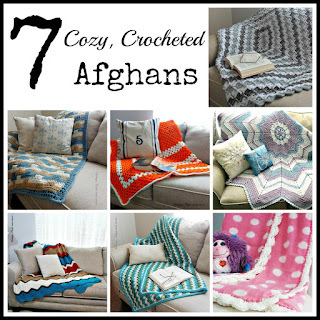 It's an easy project done by tying small yarn pom-poms and bells onto a piece of twine. Such a fun addition. The skis were also kept - just moved to the other side of the mantel to add a little height to this area. I then added a few of the little green pine trees I have collected over the years. I love how these trees depict the wintry woods that surround us here. The large one even has a bit of snow (flocking) adding to the winter look. The little sled holds some little snowballs easily made by wrapping small styrofoam balls with yarn. To finish it off I put our "Let It Snow" sign up. You really can't tell but it has a bit of glitter on it to make it glisten like it has snow on it also. And, that's it for our winter mantel. 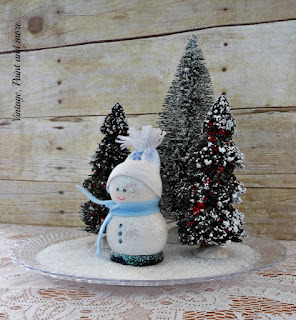 I love keeping my decorating simple by using items that can transition through several seasons. It just makes life easier. 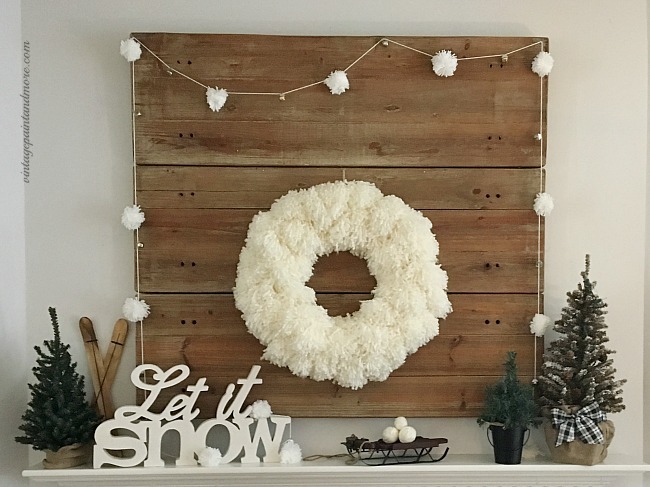 Do you decorate for winter or go straight into your Spring decor? I love to hear from you so tell me about it in the comments below. I will be linking to the parties listed on the Where I Party page. 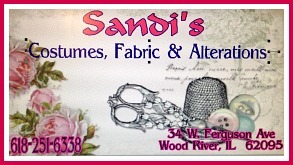 Please be sure and visit them as you will find some great inspiration and projects at each one. I just love this yarn pom-pom wreath. It is looking very cute. 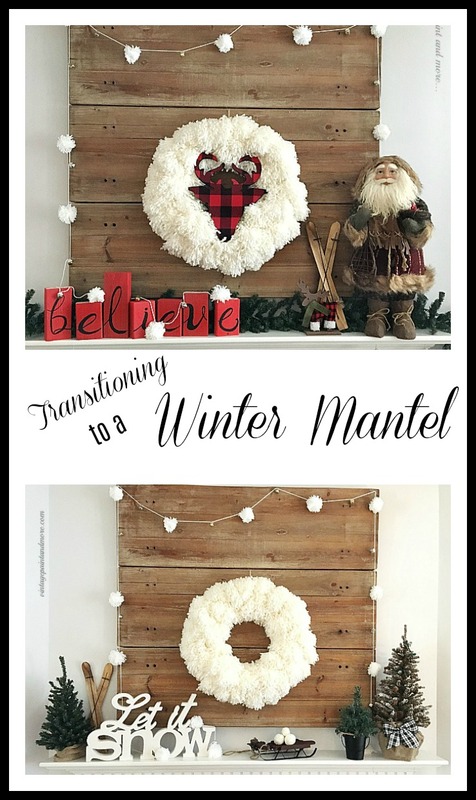 I really love how you transitioned that mantel from Christmas to winter. The changes are subtle, but work beautifully! 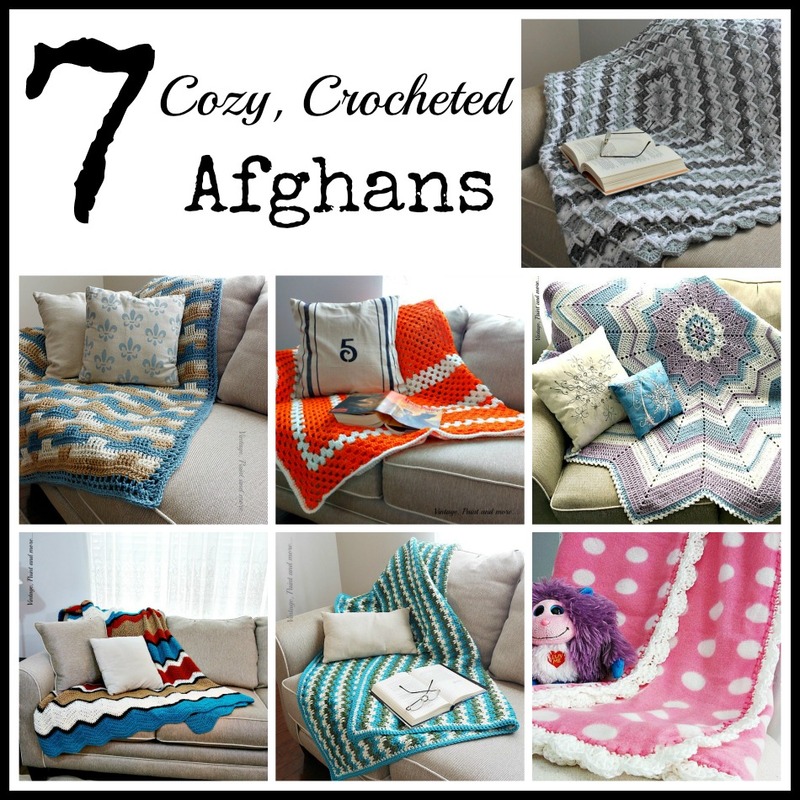 Very cozy, Cathy! Thanks for sharing at Vintage Charm! Beautiful mantel. Love that wood behind it too. Thanks for sharing at our link party! Beautiful mantel! I am in the process of making a pom pom wresth, I just love them! Thank you Chrystal. I just got a pom pom maker so I could make a pom pom wreath - can't wait to get started. 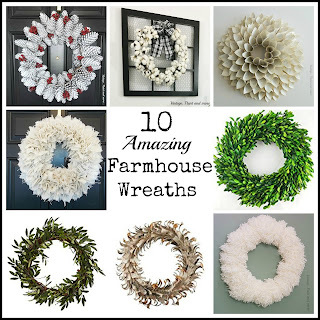 I love pom pom's and the wreath is very cute! Thanks for sharing with SYC. I love pom poms also and just got a new pom pom maker - thanks for stopping by and for hosting each week. Great post! 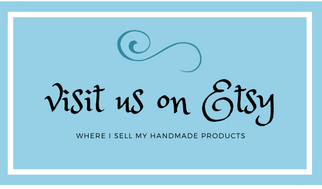 I will be featuring you tomorrow at Thursday Favorite Things! 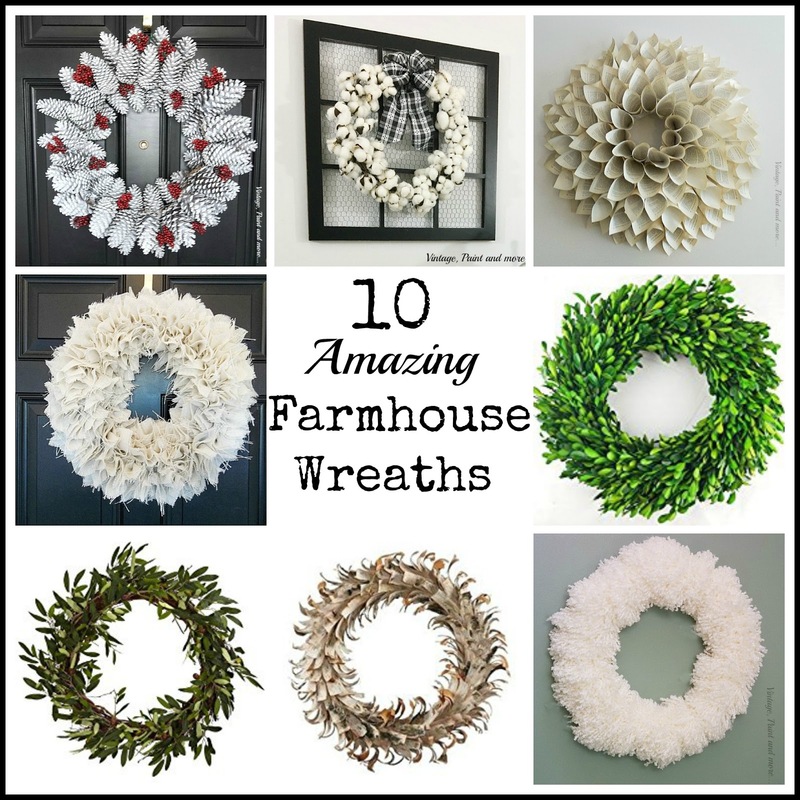 Your pom pom wreath is adorable. Thank you for sharing at Snickerdoodle. I love both your Christmas and winter mantels! 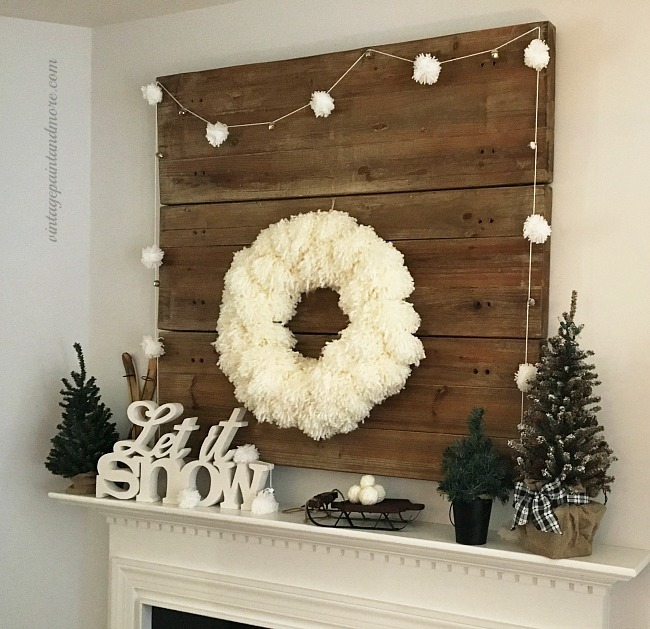 The wood pallet and those believe blocks are such a classic look!